It’s the middle of winter here so it will be a while before we enjoy s’mores by the campfire. Craving that delicious chocolate, graham cracker and marshmallow mix? 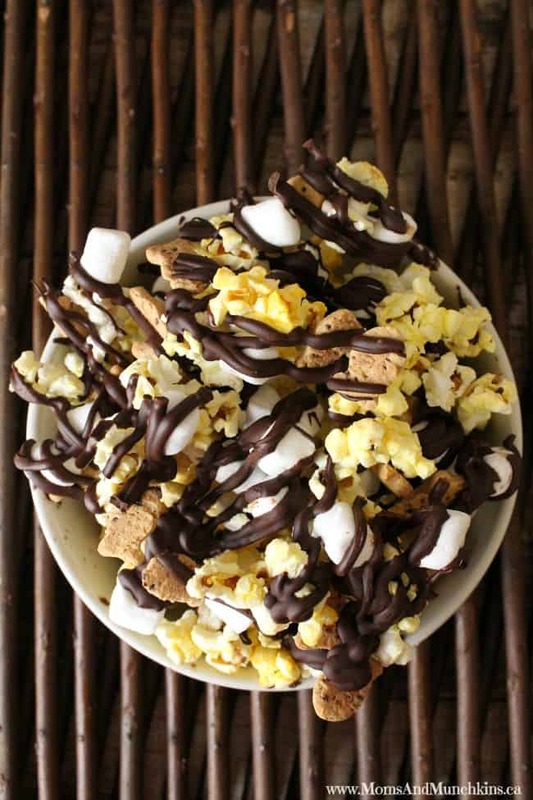 Try this Campfire Popcorn instead! It’s really easy to make, stores well in the refrigerator and makes a delicious treat for your next movie night. I used Goldfish Graham Crackers in my mix but you can use any kind of graham crackers broken into bite-sized pieces. I always use buttered popcorn for my popcorn mixes because I like the taste better but you could use plain popcorn instead. Again, it’s whatever you prefer because it’s your snack mix! Quantities not listed because you can add as much of each ingredient as you'd like! Spread popcorn, mini marshmallows and graham crackers evenly on cookie sheet covered in wax paper. Drizzle chocolate over the popcorn mix and put in freezer for about 10 minutes until the chocolate hardens. Remove from freezer and store in a resealable plastic food storage bag and store in refrigerator. 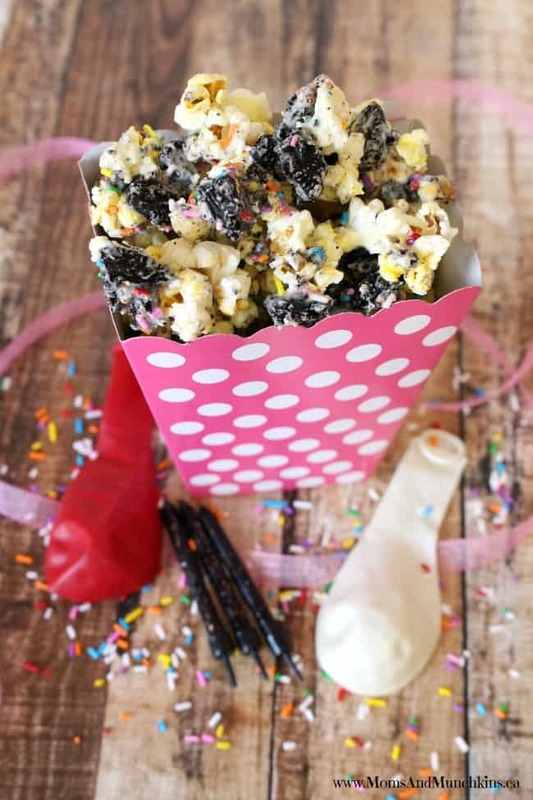 For even more delicious popcorn ideas, visit our Popcorn category for recipes like Birthday Party Popcorn, Goldilocks & The Gummy Bears and more! We have both salty and sweet recipes so you’re sure to find something that everyone in the family will love.